Baldy Mountain Resort has set aside 5 Mondays in January and February to help give back to the many great organizations, non-profits and charities in our region like the South Okanagan Secondary School PAC. These groups do amazing work for our region, and we want to recognize that by helping them raise money and awareness. Baldy Mountain Resort will be donating $2 from every lift ticket sold on Monday February 4th to the South Okanagan Secondary School PAC. We need your help to crank up this opportunity and raise as much money for Highway to Healing as possible. All you have to do to help? Go skiing or snowboarding! 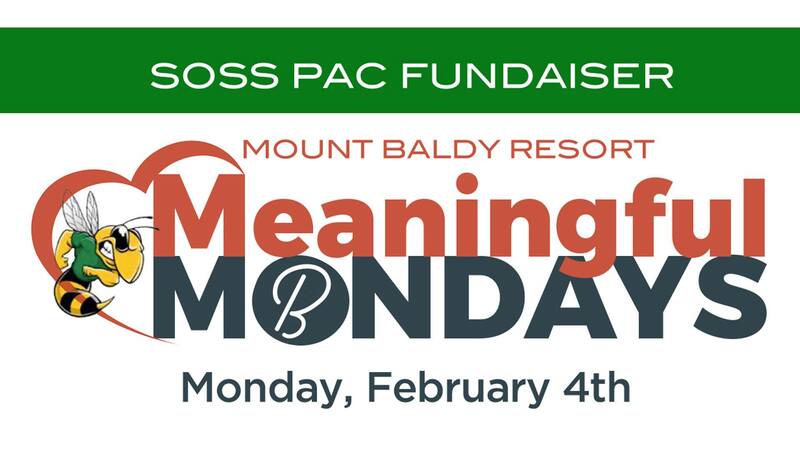 Mark your calendar and make sure to get up to Baldy Mountain Resort on Monday, February 4th to help us raise some valuable funds for our organization. If you can’t make it up on February 4th. Make sure to go buy a lift ticket on one of the other 4 Meaningful Mondays. Thank you for supporting South Okanagan Seconary School’s PAC! See you on the slopes!